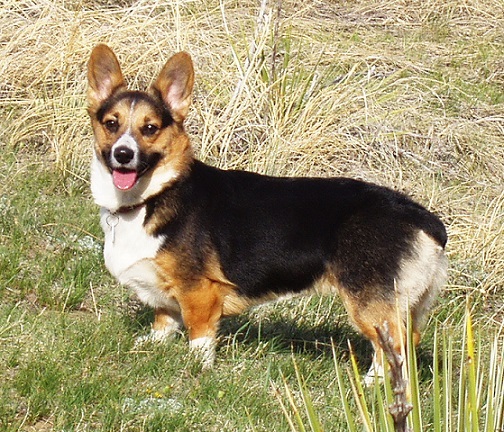 PRINCE CHARMING is 12 inches tall, which is the largest height for a Pembroke Welsh Corgi. He's a big husky guy at 33 lbs, and it's due to his chest and rib cage that is wider and deeper than most corgis. Prince Charming deserves his name with his extremely smart and mild manners. He is a very loyal and affection with people of all ages. He also loves a fun game of fetch! 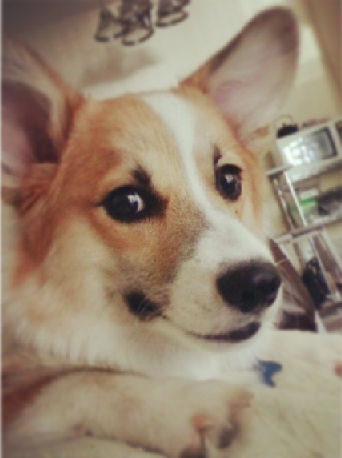 You can't find a smarter corgi or a corgi with a better personality than Prince Charming. AWARDS: Prince Charming's daughter Sadie, who lives in Paragould Arkansas won a Trophy for Obedience. CHAMPION BLOODLINES: There are 30 Champions in his 5 Generation Pedigree, and 10 of those Champions pass to the 5 Generation Pedigree of any puppy that he fathers. Prince Charming hasn't been tested, because he's near retirement age. However we tested 4 of his puppies, and can conclude the following about Prince Charming. vWD Clear or Carrier. This means his blood clots normally, because 1 or 2 genes are good. Based on 4 puppies tested being vWD Clear with 2 good genes we believe he is most likely vWD Clear. DM Carrier or At Risk. This means he either has no chance of the spinal cord deteriorating over time, or like over 50% of corgis in the world is At Risk of becoming the under 3% that actually develop it. Based on 4 of his puppies tested being DM At Risk we believe he is most likely DM At Risk. Charming is already 13 years old, and there's no signs of DM. BREEDING: Prince Charming can be bred to Sleeping Beauty. vWD results for Belle are vWD Clear. DM results for Sleeping Beauty are DM At Risk. 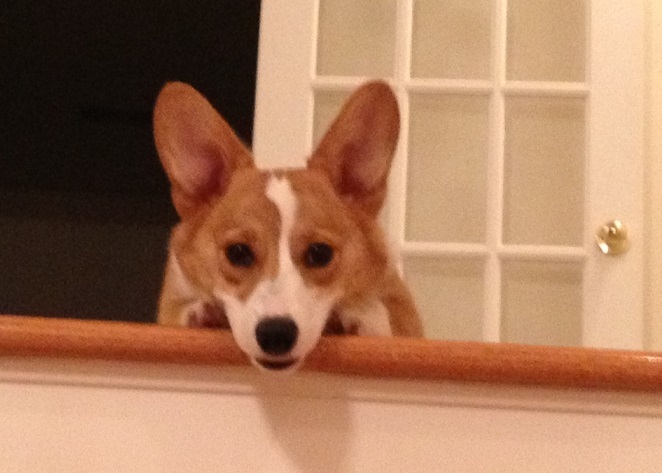 However, as mentioned above over 50% of corgis tested in the world are DM At Risk. Nowhere near that amount of corgis ever develop DM, and instead under 3% actually develop it. Therefore scientists are trying to find a more accurate DM test. DAUGHTERS: Charming is in his senior years, so to keep his line going we've added his daughters Tinker Bell & Alice to our family. Both of Charming's daughters can be bred to Adam. ROYAL RELATIVES: We've traced Charming's heritage past the 1930s, and he is related to the parents of Queen Elizabeth's Corgis who came from the Rozavel Kennels in Wales.